What do you do when you first arrive in Chicago? 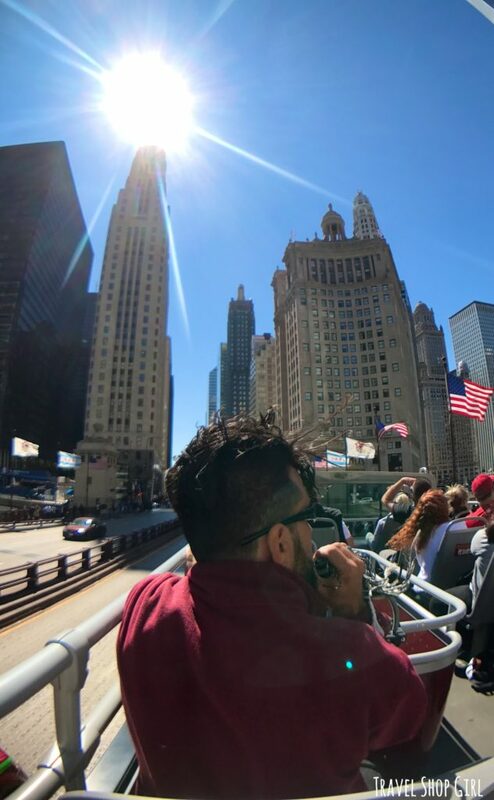 You can wander aimlessly like the Walking Dead or maybe, just maybe you’ll do the smart thing and consider trying out a Big Bus Chicago tour. Why? 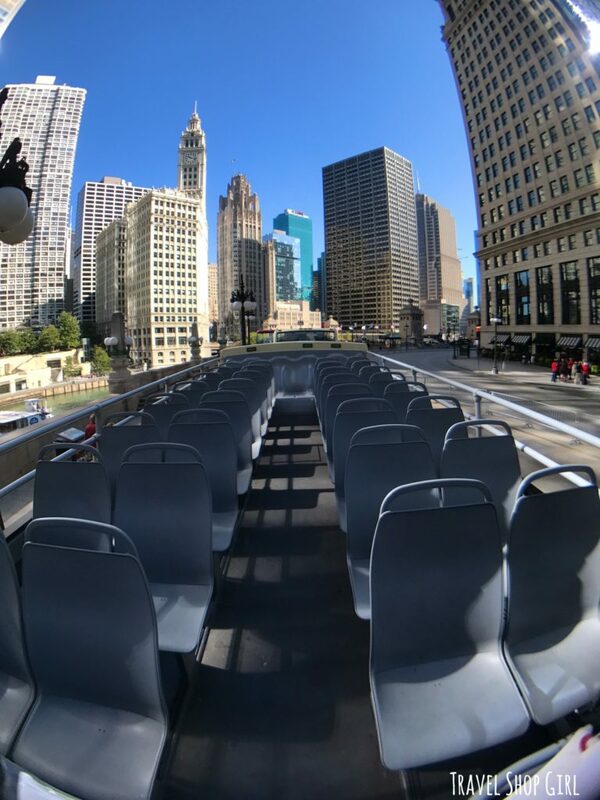 You can learn all about the Windy City while getting around it in an easy to use mode of transportation. 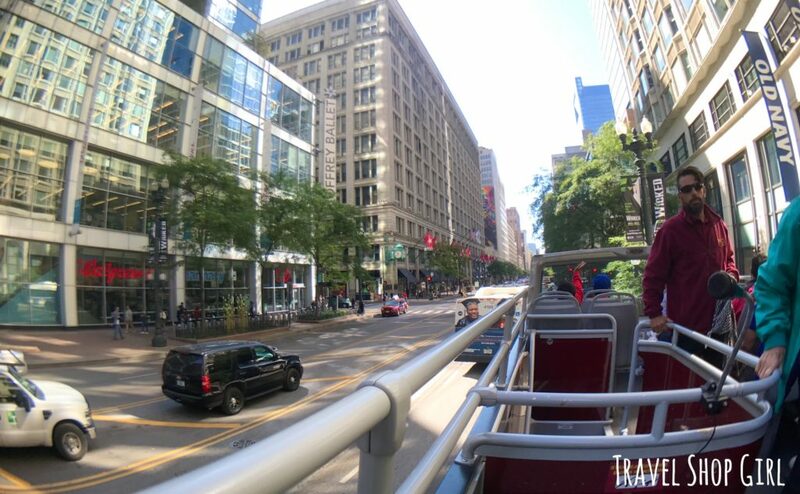 Follow these simple travel tips for my effective ways to utilize a hop on hop off bus tour in Chicago. 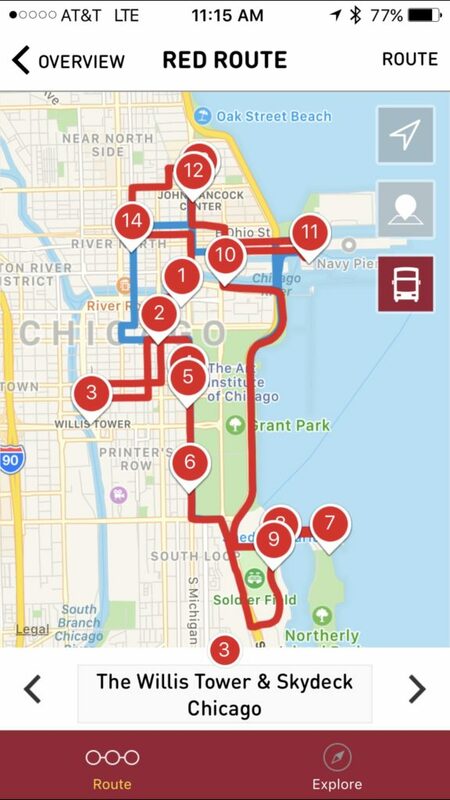 Did you know that Big Bus Chicago, as well as all Big Bus tours, has an app where you can explore the city, either while there or before your trip? Use the app to plot out your trip in advance and determine which stops you’ll get off at to make the most of your trip to Chicago. 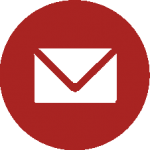 You’ll also find important information on landmarks, hours for attractions, pricing, and addresses. Not sure where you are exactly? Click the “locate” in the destination you’d like to visit, then the locator arrow, and you’ll see just how close you are to where you want to go. It’s your all in one go to destination for all things Chicago! 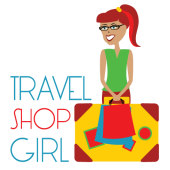 TSG Tip: While you can purchase your tickets through the app or online, you’ll need to show your voucher to an employee before boarding. They’ll present you with a paper ticket that you’ll need to keep with you to board again. While you might find a bus stop for Big Bus Chicago tours near your hotel or another landmark, I highly recommend starting at bus stop #1. Why? You’ll start your journey fresh with a new tour guide, which is always fun. But should you get on later in the tour, like #14, which is the last bus stop, the buses return to bus stop #1 for a mandatory break for the driver and guide. This means you can get off and board another bus or wait 15 minutes for the new tour. Nothing kills the moment than sitting idly for 15 minutes when you’re itching to see the Windy City sites. Looking for the best seats for the best photo ops? Go up on top of the open double decker bus, about halfway down on your left looking toward the front. You can’t go wrong with these seats at all as you’ll have incredible, unobstructed views of the city. Nearly all the pictures in this post were taken from my seat on the bus. We chose a seat directly behind the tour guide so we could hear him give his tour. If you talk throughout the tour, you’ll not only be a distraction for the tour guide, but you’ll miss out on his or her great wealth of knowledge about Chicago so please… shhhh! 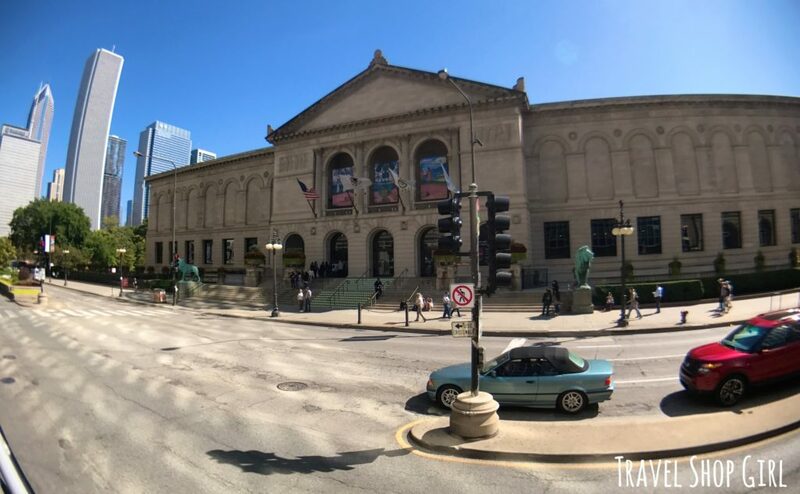 TSG Tip: Listen closely for interesting tidbits like why the lions outside of the Art Institute of Chicago have an important role in literary history, where to find some of the interesting pieces of public art in the city, and so much more. No, I’m not crazy. Even in the summer you’ll find the breeze in an open air bus can make the ride feel as cold as the middle of winter. My suggestion is to either wear or pack something with you to keep you warm so you don’t freeze and miss what’s being said during the tour. Don’t think you’ll be cold? Remember, it’s called the Windy City for a reason and since you’ll be near Lake Michigan, that lake effect can do a number on you. 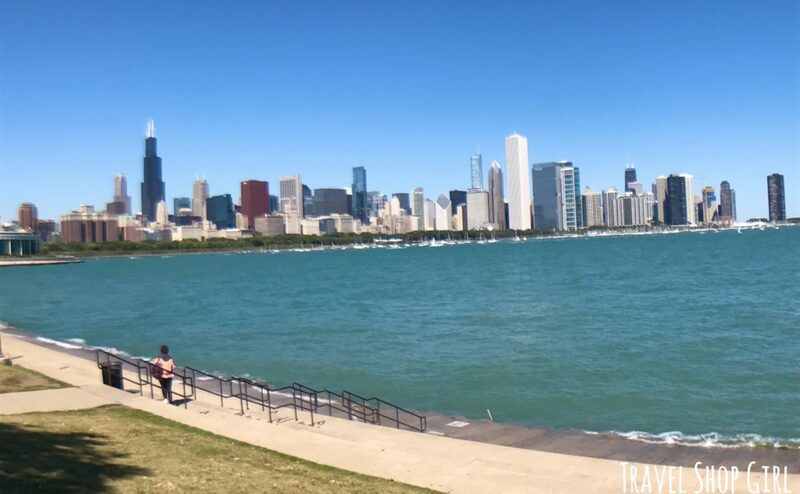 While it was a warm September day in Chicago, when we arrived out by Adler Planetarium and Shedd Aquarium, I was wishing I had brought a hoodie or jacket with me as I was shaking – it was that cold. 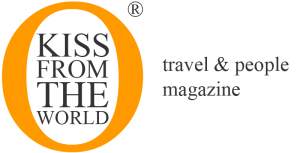 Some tour companies have pre-recorded commentary in various languages, but Big Bus Chicago offers live commentary with live guides. This means although there are free headphones available when you walk on the bus, you won’t need them if there’s a live tour guide on your tour. TSG Tip: If you’re looking for Spanish commentary, check with the tour guide before you board your bus as not all buses offer this option. 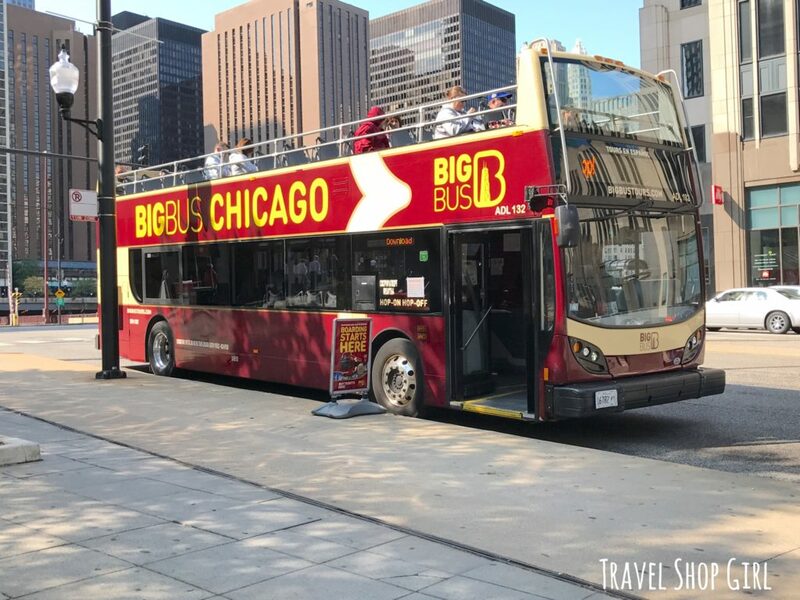 Your ticket for Big Bus Chicago tours is good for that one day of travel unless you purchase a ticket for multiple days. Use your ticket to the max to get around the city, which means you won’t have to pay for any other mode of transportation. Buses stop at each of the 14 designated bus stops approximately every 12-17 minutes from 9 am until 5 pm daily with the exception of Thanksgiving and Christmas. 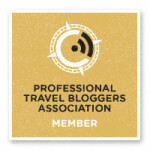 But while you’re in possession of that ticket, use it to get you around the city to all the top destinations like Skydeck Chicago, Soldier Field, John Hancock Center, and so many others, many of which I covered in my last Chicago post here. 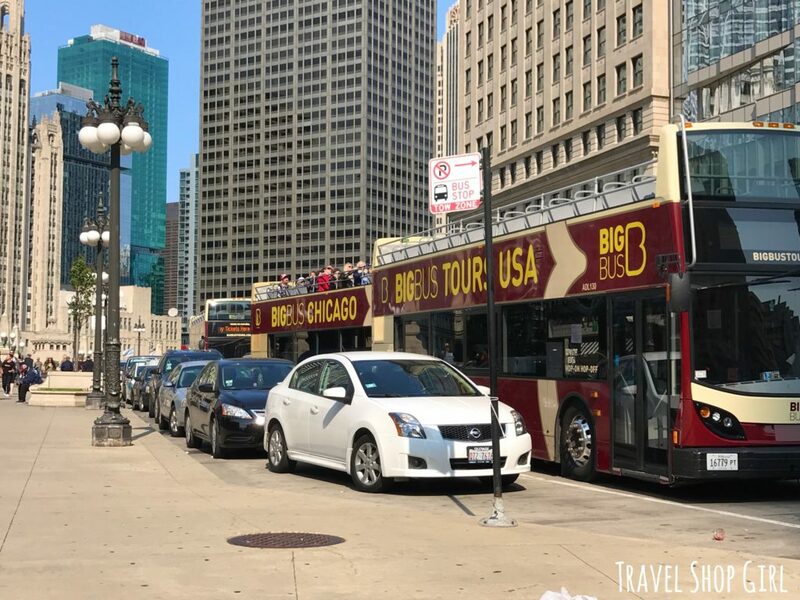 I had an incredible time on my tour with Big Bus Chicago and I’m so glad that I took the tour the first day of my trip to help me figure out where I was and where I wanted to go next. How did you visit the sites while in Chicago? 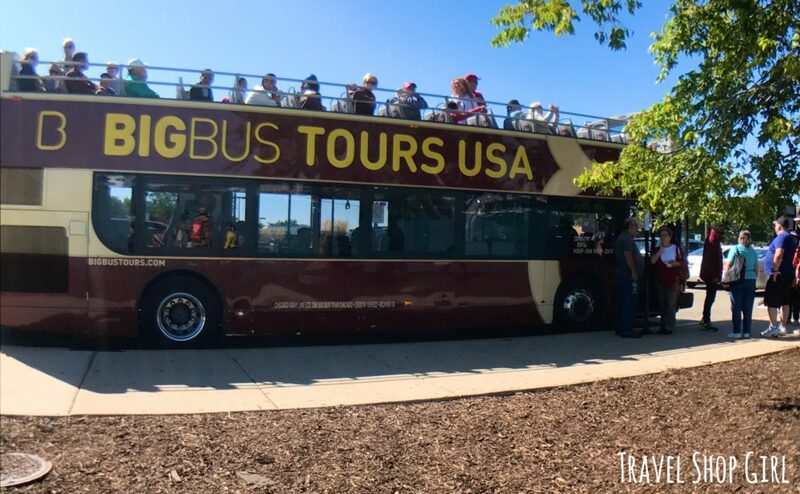 Did you have a chance to enjoy a tour on a Big Bus Chicago tour bus?